Gursimran Khamba's Honest Punjabi Wedding video is everything we have been waiting for! 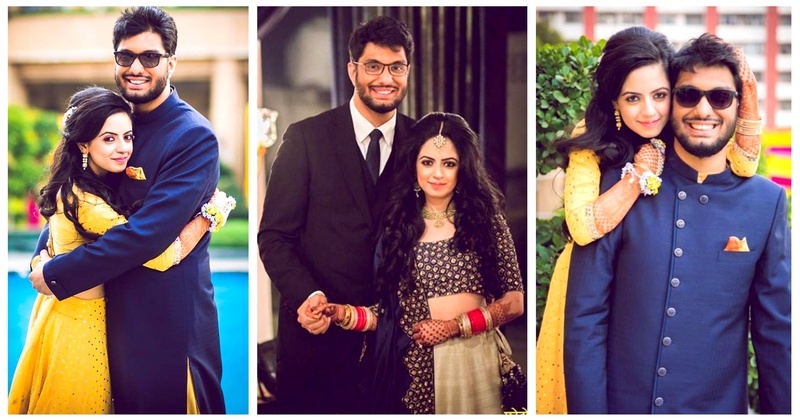 Gursimran Khamba of AIB had very recently made the millennials believe that ‘Pyaar Ek Dhoka Nahi Hai’ as he tied the knot with his beloved, Ismeet Kohli in a swaggy Punjabi wedding! We were eagerly awaiting to see Gursimran’s wedding video because of all the hype after the ‘Honest Wedding Video’ and its finally here! 1. The guest list: The AIB family - Tanmay Bhatt, Rohan Joshi, and Ashish Shakya, Aditi Mittal, the sakht launda - Zakir Khan and more are spotted letting the guard down, just being the normal desi baraati and getting wasted (ofcourse)! 3. When Khamba practically begs Ismeet to agree to make the video. 4. The titanic pose. Yeah! 5. Tanmay Bhat: “Parso Khamba ka roka hai, PYAR EK DHOKA HAI”. 6. Twirl reversal - Ismeet twirls Khamba. No I am not kidding, it happens. Ismeet doesn't even bother to raise her hand! If you haven't watched it already, check out it out now! Well well, I definitely cant wait for their wedding pictures now!